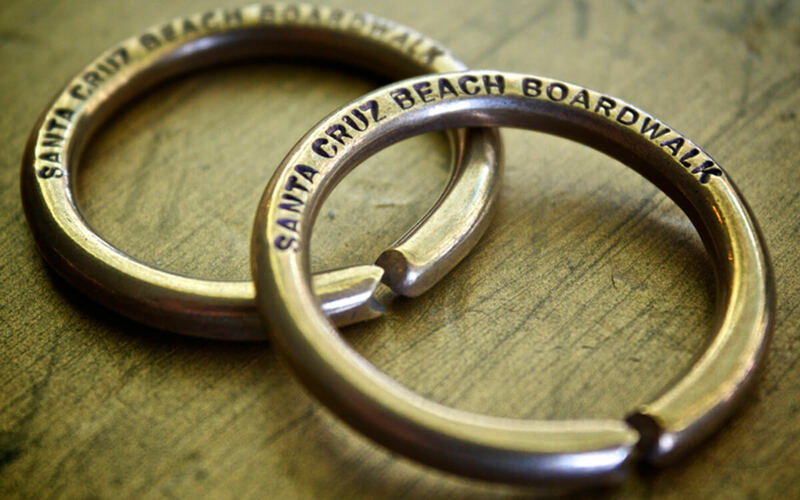 SANTA CRUZ, Calif. — The oldest ride at the Santa Cruz Beach Boardwalk passed the century mark in 2011. Charles I.D. Looff, one of the earliest and most successful builders of carousels delivered the “Merry Go Round” to the Boardwalk in August of 1911. Looff, who immigrated from Denmark as a young man, began building carousels in 1875 installing his first at Mrs. Lucy Vanderveer’s Bathing Pavilion at Coney Island, New York City, in 1876. Being one of the first, many of the subsequent Coney Island carousel carvers learned their skills from Charles Looff. In 1910 he moved his carousel and ride building factory to Long Beach, California. Like many amusement parks at the turn of the 20th century, the Boardwalk began as a bathing beach. Americans were becoming more prosperous and less dependent on constant work. They realized that recreation was a good thing, and swimming had become a popular pastime. John Leibrandt opened the first public bathhouse on the beach in 1865. The Santa Cruz beach, with its southern shore on the north side of Monterey Bay was protected from the harsh waves typical of the west coast and offered a beautiful and serene area with safe, open-water swimming. Other bathhouses soon followed along with restaurants, curio shops, photo stands and hotels. In 1904, Fred W. Swanton, whose first Santa Cruz hotel was destroyed in a fire, opened the Neptune casino and boardwalk that he promoted as the “Atlantic City of the West.” That too was destroyed in a fire just two years later, but that didn’t stop Swanton. He formed the Santa Cruz Beach Company in 1906 and opened an even grander casino in 1907, along with a gigantic natatorium that offered one of the largest heated saltwater pools om the west coast. Other attractions soon followed including a miniature steam train that same year, a Thompson Scenic Railway in 1908 and the Looff Carousel in 1911. Though dating back to France in the mid 16th century, it wasn’t until the late 1800s and the adaptation of a steam engine that carousels became popular. Americans had become enchanted with these new rides in the late 1800s and early 1900s and the golden age of carousels is generally considered to be from 1905 to 1925. Visitors flocked to the many amusement parks scattered throughout the country to take a spin on the “painted ponies.” Riders and spectators alike loved the beautiful carved horses, the calliope music and the glow of the relatively new incandescent lights. It is estimated that as many as 3,000 carousels were produced in this short time period but less than 175 of those remain in operation today. 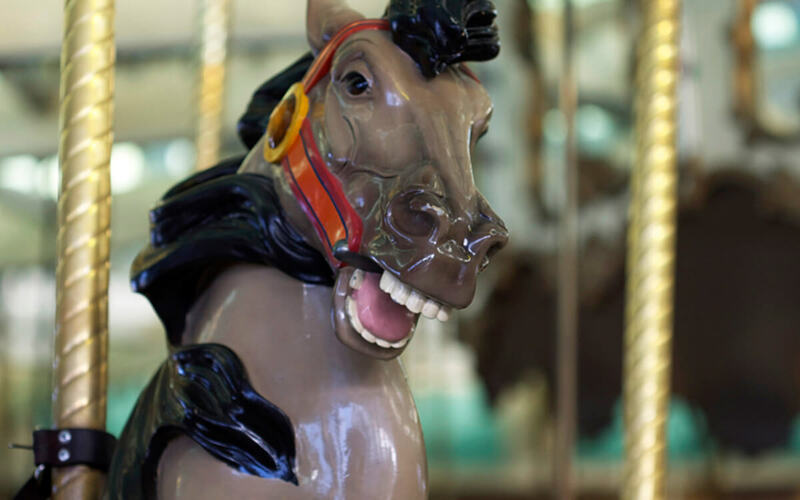 The Santa Cruz Beach Merry Go Round is a magnificent example of those golden age carousels. It features 73 hand-carved horses, each one unique. Most of the horses display their teeth in an open mouth, but six of the steeds are closed-mouth — an uncommon style. All of them feature elaborate and colorful details: real horse tails, muscular bodies, and decorative jewels. Some of the horses have swords at their sides and decorative garlands around their neck. Many of the horses have items strapped behind their saddles such as a fish, lamb, pheasant, horn, jug, blanket, or a cluster of fruit. Two Roman chariots, decorated with cherubs and rams, are provided for the faint of heart, small children, or women who, because of their long dresses, did not wish to straddle a horse. Most of the jumping horses are mounted in columns of four with all four horses having the same color: white, black, brown, bay, tan or gray. The two standing horses are on the outside row next to each of the chariots. This particular carousel is one of only a few known to be a “pure” carousel. All of the horses on the ride were provided by the same company that built the carousel. Some horses have had to be replaced over the years, but the park was able to acquire Looff horses from other carousels that have been dismantled or have replaced their wood horses. It is also one of the few that still features a working ring dispenser. Although extremely popular during the golden age, there are, today, perhaps less than a dozen carousels in the U.S. where riders can reach for the brass ring, and even fewer have jumping horses on the outside row, making this particular carousel even more unique. Originally iron rings were dispensed with one or two brass rings included per ride. Those lucky few who grabbed a brass ring were able to exchange it for a prize, often a free ride ticket. Today, the rings are steel, with brass-plated rings used on special occasions. Riders are asked to toss the rings into a large clown’s gaping mouth, where they are rewarded with flashing lights and bells if they hit the target, but many of the rings are taken home as souvenirs. For every six to seven people who reach for the rings, one is taken home, meaning that over 85,000 rings have to be purchased each year. But pilfering rings is nothing new — a 1911 photograph shows a sign pleading “Please do not take the rings!” The ring dispenser is automatically loaded with rings recovered from the clown’s mouth via an elaborate mechanism underneath the carousel. Prior to 1950, a park worker called a “ring boy” manually recovered the rings and fed them into the metal arm. For a brief time during the 1970s, dispensing of rings was discontinued and ridership plummeted by about 75 percent. 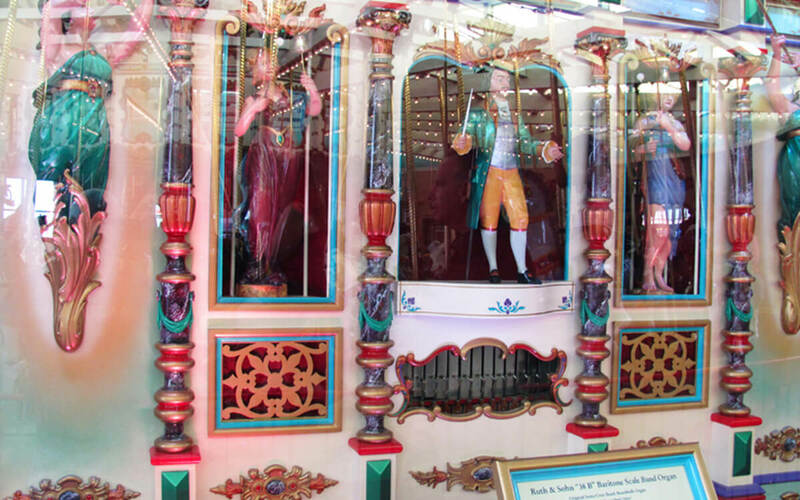 The carousel was installed with a Ruth and Sohn band organ and it has been providing music for most of the 100 years the ride has been in operation. Records show the band organ was built in 1894 under the watchful eye of Adolph Ruth at the Ruth & Sohn factory in the Black Forest town of Waldkirch, Germany. The rare 96-key organ includes 342 pipes, a glockenspiel and percussion instruments. No one has been able to determine where the organ spent its first 17 years or how it was acquired by Looff. A rare Wurlitzer 165 band organ was purchased in 2007 from a private collector. That organ, built in 1918 by the Rudolph Wurlitzer Company of North Tonawanda, New York, operated at the Looff carousel at San Francisco’s Playland-at-the-Beach amusement park for 54 years. The Wurlitzer 165 was installed in March 2007, and provided music during the Ruth organ’s refurbishment. The Ruth was shipped to the Stinson Band Organ Company in Bellefontaine, Ohio where it was given a major restoration to bring back its exceptional playing capabilities. The Ruth also received a new façade with carved figures and colorful scrollwork, and was then carefully shipped back to Santa Cruz. The Boardwalk is also in possession of Wurlitzer 146 band organ that was added to the carousel building earlier this year. Each of the three offers a unique sound and all three band organs can be heard as each takes a turn to play music throughout the day. Thanks to a new Musical Instrument Digital Interface (MIDI) system, the organs can play contemporary music as well as the old classics. As it was back at the turn of the century, not everyone comes to the carousel building to ride a horse. The organs themselves are attractions as fans gather to watch the historic music machines mechanically bellow the distinctive calliope music. As one would expect, a century-old carousel requires constant maintenance. The Boardwalk has restored many of the beautiful carved steeds, and those that could not be restored were replaced with Looff horses from parks in Myrtle Beach, South Carolina and Belmont Park in San Diego. Ongoing maintenance includes touching up chipped paint, frequent polishing of the brass poles and mirrors, as well as mechanical adjustments and repairs. Antique hand-carved horses are becoming increasingly rare and difficult to acquire. In 1911, the carousel cost $18,000; now a single horse at auction can fetch close to that amount. Complementing the Looff Carousel is the Giant Dipper roller coaster, built in 1924 by Charles’ son Arthur Looff. On February 24, 1987, the U.S. Secretary of the Interior designated both the Looff Carousel and the Giant Dipper as National Historic Landmarks. Fewer than 2,500 places bear this national distinction, which recognizes historic places that possess exceptional value or quality illustrating or interpreting the heritage of the United States. 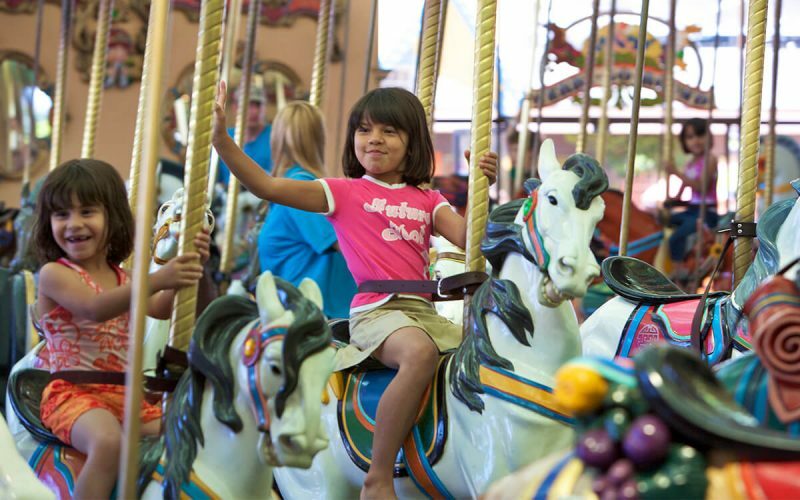 Santa Cruz Beach Boardwalk has been celebrating all year long with 100 years of carousel magic. Celebrations have included brass ring days, a carousel memory wall where friends or loved ones can be honored or commemorated with a bronze plaque inside the carousel building, a carousel-themed art exhibit and unique carousel centennial merchandise. 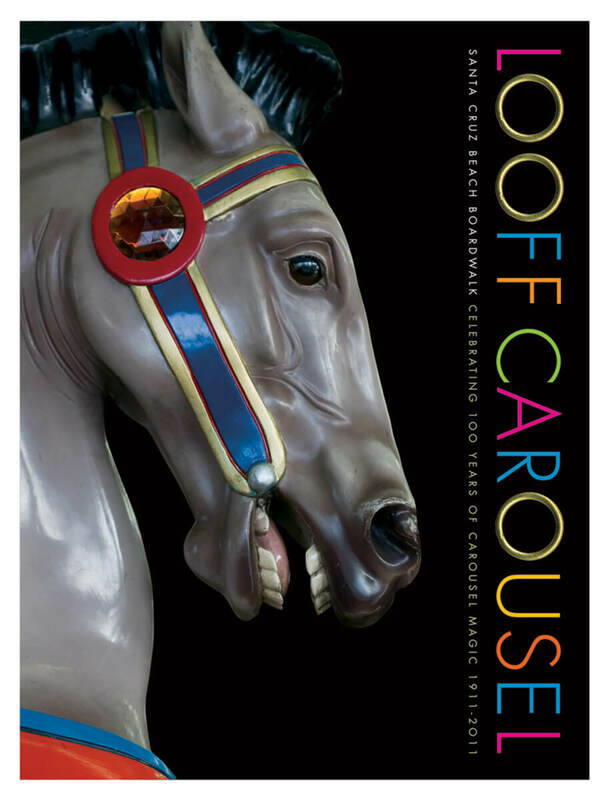 Along with 100th anniversary fine art posters and books are a special-edition 2007 Boardwalk Carousel bottle of syrah wine from Hallcrest Vineyards, and a collector’s edition Horse Tale Ale from Santa Cruz Mountain Brewing. The ale harkens back to 1911 when 25 brewers in the San Francisco area, including one in Santa Cruz, brewed a California Common or Steam Ale. 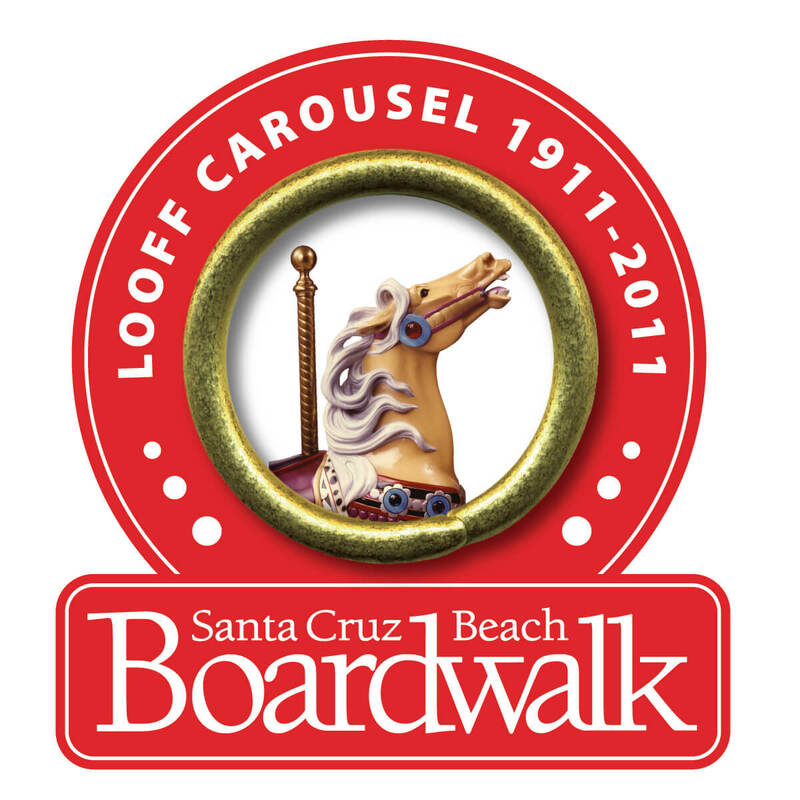 Amusement Today salutes the Santa Cruz Beach Boardwalk for preserving its historic 1911 Looff Carousel. It is one of the few in the world that has been galloping in its original location for more than 100 years. May it spin guests who come to ride the painted ponies and reach for the brass ring for many more years to come. This article first appeared in the November 2011, issue of Amusement Today, and is reprinted here courtesy of Amusement Today. For subscription information, visit AmusementToday.com.